We all intuitively understand the basics of time. Every day we count its passage and use it to schedule our lives. We also use time to navigate our way to the destinations that matter to us. In school we learned that speed and time will tell us how far we went in traveling from point A to point B; with a map we can pick the most efficient route – simple. In its final form, the Deep Space Atomic Clock will be suitable for operations in the solar system well beyond Earth orbit. Our goal is to develop an advanced prototype of DSAC and operate it in space for one year, demonstrating its use for future deep space exploration. To navigate in deep space, we measure the transit time of a radio signal traveling back and forth between a spacecraft and one of our transmitting antennae on Earth (usually one of NASA’s Deep Space Network complexes located in Goldstone, California; Madrid, Spain; or Canberra, Australia). 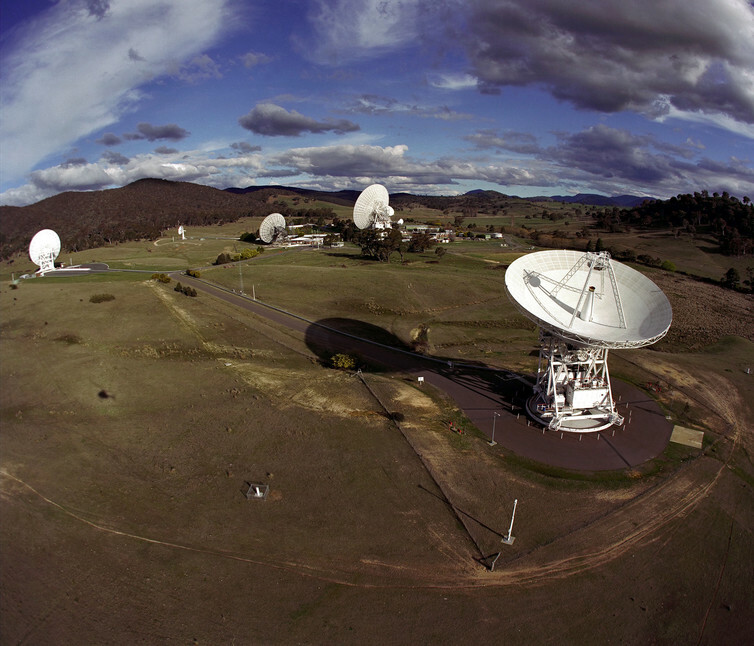 The Canberra Deep Space Communications Complex in Australia is part of NASA’s Deep Space Network, receiving and sending radio signals to and from spacecraft. We know the signal is traveling at the speed of light, a constant at approximately 300,000 km/sec (186,000 miles/sec). Then, from how long our “two-way” measurement takes to go there and back, we can compute distances and relative speeds for the spacecraft. For instance, an orbiting satellite at Mars is an average of 250 million kilometers from Earth. The time the radio signal takes to travel there and back (called its two-way light time) is about 28 minutes. We can measure the travel time of the signal and then relate it to the total distance traversed between the Earth tracking antenna and the orbiter to better than a meter, and the orbiter’s relative speed with respect to the antenna to within 0.1 mm/sec. We collect the distance and relative speed data over time, and when we have a sufficient amount (for a Mars orbiter this is typically two days) we can determine the satellite’s trajectory. Fundamental to these precise measurements are atomic clocks. By measuring very stable and precise frequencies of light emitted by certain atoms (examples include hydrogen, cesium, rubidium and, for DSAC, mercury), an atomic clock can regulate the time kept by a more traditional mechanical (quartz crystal) clock. It’s like a tuning fork for timekeeping. The result is a clock system that can be ultra stable over decades. The precision of the Deep Space Atomic Clock relies on an inherent property of mercury ions – they transition between neighboring energy levels at a frequency of exactly 40.5073479968 GHz. DSAC uses this property to measure the error in a quartz clock’s “tick rate,” and, with this measurement, “steers” it towards a stable rate. DSAC’s resulting stability is on par with ground-based atomic clocks, gaining or losing less than a microsecond per decade. Continuing with the Mars orbiter example, ground-based atomic clocks at the Deep Space Network error contribution to the orbiter’s two-way light time measurement is on the order of picoseconds, contributing only fractions of a meter to the overall distance error. Likewise, the clocks’ contribution to error in the orbiter’s speed measurement is a minuscule fraction of the overall error (1 micrometer/sec out of the 0.1 mm/sec total). The distance and speed measurements are collected by the ground stations and sent to teams of navigators who process the data using sophisticated computer models of spacecraft motion. They compute a best-fit trajectory that, for a Mars orbiter, is typically accurate to within 10 meters (about the length of a school bus). The DSAC Demonstration Unit (shown mounted on a plate for easy transportation). The ground clocks used for these measurements are the size of a refrigerator and operate in carefully controlled environments – definitely not suitable for spaceflight. In comparison, DSAC, even in its current prototype form as seen above, is about the size of a four-slice toaster. By design, it’s able to operate well in the dynamic environment aboard a deep-space exploring craft. DSAC mercury ion trap housing with electric field trapping rods seen in the cutouts. One key to reducing DSAC’s overall size was miniaturizing the mercury ion trap. Shown in the figure above, it’s about 15 cm (6 inches) in length. The trap confines the plasma of mercury ions using electric fields. Then, by applying magnetic fields and external shielding, we provide a stable environment where the ions are minimally affected by temperature or magnetic variations. This stable environment enables measuring the ions’ transition between energy states very accurately. The DSAC technology doesn’t really consume anything other than power. All these features together mean we can develop a clock that’s suitable for very long duration space missions. Because DSAC is as stable as its ground counterparts, spacecraft carrying DSAC would not need to turn signals around to get two-way tracking. Instead, the spacecraft could send the tracking signal to the Earth station or it could receive the signal sent by the Earth station and make the tracking measurement on board. In other words, traditional two-way tracking can be replaced with one-way, measured either on the ground or on board the spacecraft. So what does this mean for deep space navigation? Broadly speaking, one-way tracking is more flexible, scalable (since it could support more missions without building new antennas) and enables new ways to navigate. DSAC enables the next generation of deep space tracking. The Deep Space Atomic Clock has the potential to solve a bunch of our current space navigation challenges. Places like Mars are “crowded” with many spacecraft: Right now, there are five orbiters competing for radio tracking. 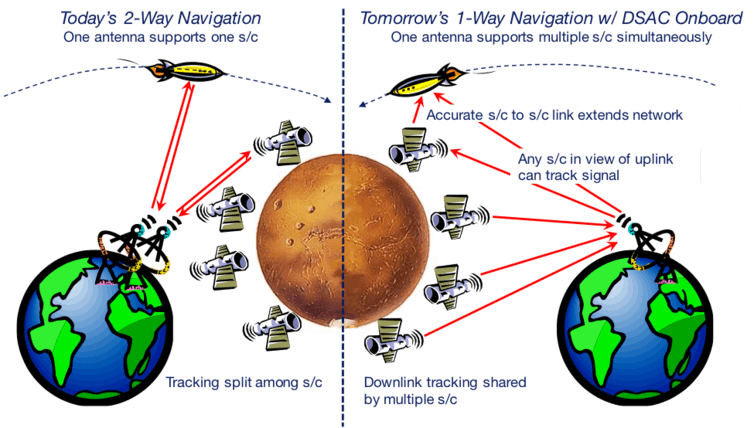 Two-way tracking requires spacecraft to “time-share” the resource. But with one-way tracking, the Deep Space Network could support many spacecraft simultaneously without expanding the network. All that’s needed are capable spacecraft radios coupled with DSAC. With the existing Deep Space Network, one-way tracking can be conducted at a higher-frequency band than current two-way. Doing so improves the precision of the tracking data by upwards of 10 times, producing range rate measurements with only 0.01 mm/sec error. One-way uplink transmissions from the Deep Space Network are very high-powered. They can be received by smaller spacecraft antennas with greater fields of view than the typical high-gain, focused antennas used today for two-way tracking. This change allows the mission to conduct science and exploration activities without interruption while still collecting high-precision data for navigation and science. As an example, use of one-way data with DSAC to determine the gravity field of Europa, an icy moon of Jupiter, can be achieved in a third of the time it would take using traditional two-way methods with the flyby mission currently under development by NASA. Collecting high-precision one-way data on board a spacecraft means the data are available for real-time navigation. Unlike two-way tracking, there is no delay with ground-based data collection and processing. This type of navigation could be crucial for robotic exploration; it would improve accuracy and reliability during critical events – for example, when a spacecraft inserts into orbit around a planet. It’s also important for human exploration, when astronauts will need accurate real-time trajectory information to safely navigate to distant solar system destinations. 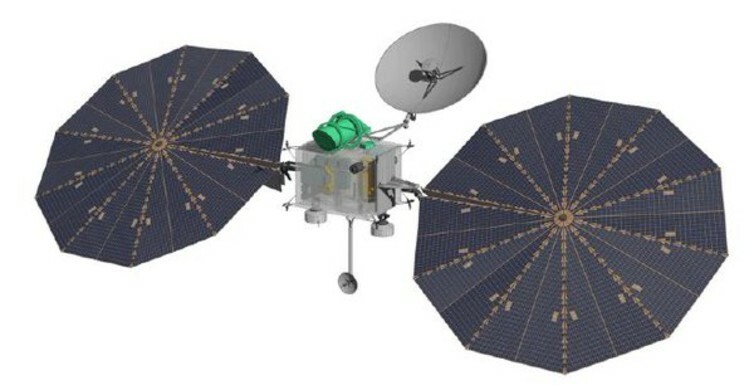 The Next Mars Orbiter (NeMO) currently in concept development by NASA is one mission that could potentially benefit from the one-way radio navigation and science that DSAC would enable. The DSAC mission is a hosted payload on the Surrey Satellite Technology Orbital Test Bed spacecraft. 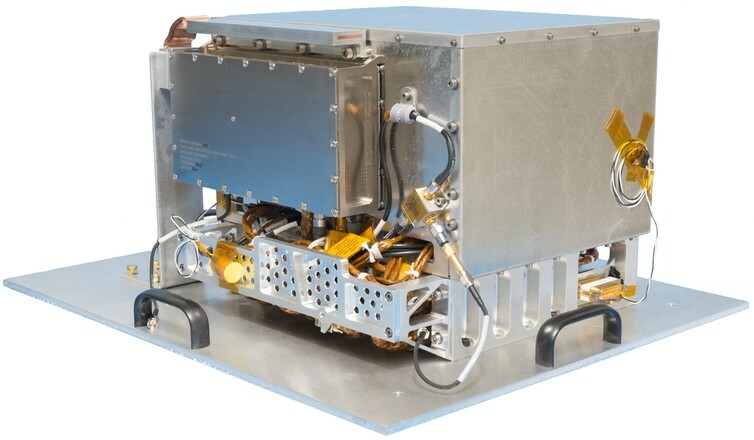 Together with the DSAC Demonstration Unit, an ultra stable quartz oscillator and a GPS receiver with antenna will enter low altitude Earth orbit once launched via a SpaceX Falcon Heavy rocket in early 2017. While it’s on orbit, DSAC’s space-based performance will be measured in a yearlong demonstration, during which Global Positioning System tracking data will be used to determine precise estimates of OTB’s orbit and DSAC’s stability. We’ll also be running a carefully designed experiment to confirm DSAC-based orbit estimates are as accurate or better than those determined from traditional two-way data. This is how we’ll validate DSAC’s utility for deep space one-way radio navigation. In the late 1700s, navigating the high seas was forever changed by John Harrison’s development of the H4 “sea watch.” H4’s stability enabled seafarers to accurately and reliably determine longitude, which until then had eluded mariners for thousands of years. Today, exploring deep space requires traveling distances that are orders of magnitude greater than the lengths of oceans, and demands tools with ever more precision for safe navigation. DSAC is at the ready to respond to this challenge. The future of personal satellite technology is here – are we ready for it?